What if a GPS Causes an Atlanta Accident and Injuries? Recently, a train accident happened when a driver left his truck on train tracks. The train tracks were at-grade and were not marked very well, nor were they gated off. The man in the truck had been led to the tracks by his GPS device, which does not have specific information about at-grade railroad tracks. His truck got stuck on the tracks, and he left the truck there with his door open. He later alleged he had gone to get help. Unfortunately, a train hit the truck. The New York Times indicated that the fatal accident resulted in the death of the train engineer. It also caused 32 other people on the train to get hurt. The man who was driving the truck who had left it on the tracks is facing criminal charges. This accident is one of many that has happened at railroad tracks located at grade. The risk of accidents at these tracks is a widespread problem and the National Transportation Safety Board is urging technology companies to add the locations of more than 200,000 railroad crossings onto GPS devices. The GPS would show the crossing on the digital map and would provide alerts to drivers who are approaching them. Of course, while tech companies could opt to do this, it is not clear that it is the responsibility of GPS makers to try to improve road safety or prevent collisions. In fact, there have been numerous cases when people have gotten hurt because of incomplete info on a GPS or even because a GPS device had the wrong info. If such an accident happens, victims should find out what their options are for taking legal action. An Atlanta defective products attorney can provide assistance when problems arise due to a GPS device that leads a driver to a dangerous location. People increasingly count on their GPS device as their primary source of directions, and many trust their GPS implicitly. In fact, New York Times indicates that drivers will ignore road signs and fail to pay attention to what is actually right in front of them and will listen to the GPS instead of doing what they need to do based on the current road conditions. 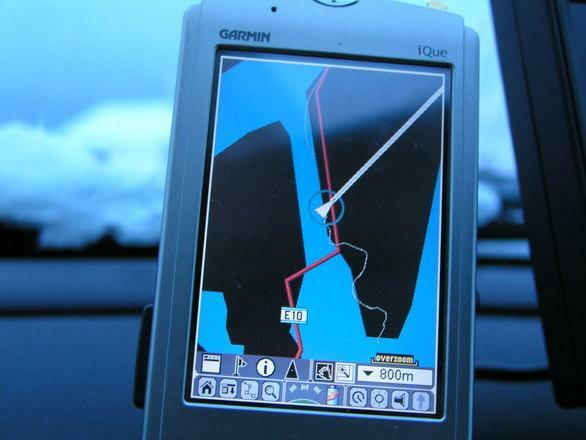 When people rely on a GPS, motorists may assume that the GPS manufacturer has a responsibility to ensure accuracy and completeness. If this was the case, then it might be possible for someone who was led to a dangerous grade-crossing to take legal action against the GPS manufacturer for providing directions which led to a dangerous place and/or for not warning about the dangers. Past cases, however, have suggested this is not the current legal situation. In Rosenberg v. Harwood, the court declined to extend liability to a digital map-maker because there wasn't a specific duty owed by the mapmaker. In that case, the GPS had given walking directions but led the user to a highway where the walker was hit by a car. Creating a duty on the part of a GPS maker would open up the GPS-manufacturers to virtually unlimited liability. This means that, unless your situation is a unique one, you probably cannot sue for bad GPS directions. This does not mean there aren't others who are responsible for causing your collision. You should review the circumstances of your case carefully to find out what options you have for pursuing a claim for compensation for crash losses. The Atlanta injury lawyers at Van Sant Law, LLC can represent victims after an accidental injury caused by a defective product. Call today at 404-991-5950 or contact us online to schedule your free consultation.